If you're a member of the House of Slytherin, you're probably not accustomed to advertising that fact in public or telegraphing your intentions or actions. You'd prefer to be a bit more covert and cunning. 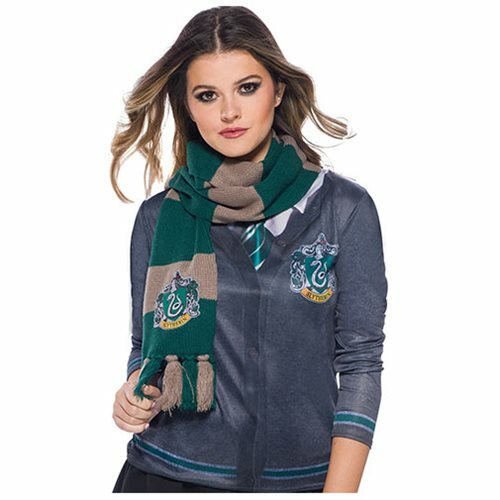 That said, you might enjoy wearing this Harry Potter Slytherin Deluxe Scarf, at least among your fellows. What do you say? Ages 6 and up.